5 oktober 2017: Bron: JAMA. 2017;318(10):918-926. Wanneer bij vrouwen met de diagnose borstkanker met aantoonbaar aangetaste schildwachtklier / poortwachtersklier (T1 of T2) maar verder geen uitzaaiingen op afstand alleen de schildwachtklier wordt weggehaald en eventueel 1 of 2 aangrenzende lymfklieren dan hebben zij net zoveel kans de 10 jaar te overleven (86,3 % versus 83,6 %) en ook na 10 jaar nog recidiefvrij te zijn dan als alle lymfklieren in de oksel worden weggehaald (80,2% versus 78,2%). Na een mediane follow-up van 9.3 jaar, was de 10-jaars overall overleving 86.3% in de SLND-alleen groep (alleen schildwachtklier is weggehaald) versus 83.6% in de ALND group (alle lymfklieren in de oksel wroden weggehaald) (HR = 0.85, 1-sided 95% confidence interval = 0–1.16; noninferiority P = .02). Tien jaars ziektevrije tijd was 80.2% (SLND) versus 78.2% (ALND) (HR = 0.85, 95% CI = 0.62–1.17, P = .32). Het volledige studierapport, gepubliceerd in JAMA: Effect of Axillary Dissection vs No Axillary Dissection on 10-Year Overall Survival Among Women With Invasive Breast Cancer and Sentinel Node Metastasis is tegen betaling in te zien. Question Is there any diminution in 10-year overall survival for women with cT1-2N0 breast cancer and metastases to 1 or 2 sentinel lymph nodes undergoing breast-conserving surgery, whole-breast irradiation, and adjuvant systemic therapy treated with sentinel node dissection alone compared with that of patients treated with axillary dissection? Findings In this randomized clinical trial including 856 women, after median follow-up of 9.3 years, overall survival for patients treated with sentinel lymph node dissection alone was not inferior to those treated with completion axillary lymph node dissection (86.3% vs 83.6%, respectively; noninferiority hazard ratio margin of 1.3). Meaning These findings do not support the use of axillary lymph node dissection when metastases are found with sentinel lymph node sampling in women with cT1-2M0 breast cancer. Importance The results of the American College of Surgeons Oncology Group Z0011 (ACOSOG Z0011) trial were first reported in 2005 with a median follow-up of 6.3 years. Longer follow-up was necessary because the majority of the patients had estrogen receptor–positive tumors that may recur later in the disease course (the ACOSOG is now part of the Alliance for Clinical Trials in Oncology). 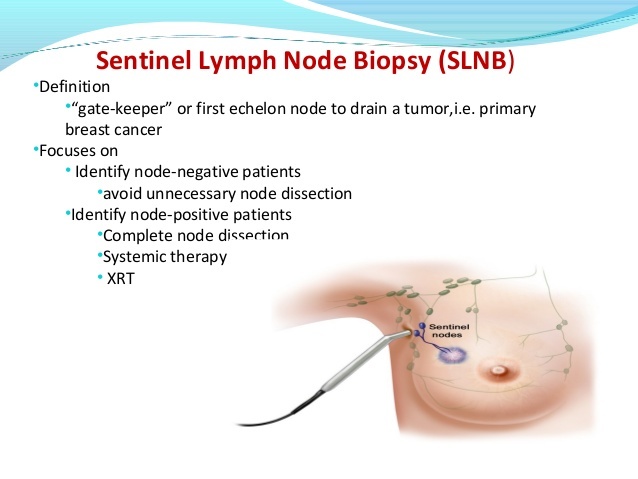 Objective To determine whether the 10-year overall survival of patients with sentinel lymph node metastases treated with breast-conserving therapy and sentinel lymph node dissection (SLND) alone without axillary lymph node dissection (ALND) is noninferior to that of women treated with axillary dissection. Design, Setting, and Participants The ACOSOG Z0011 phase 3 randomized clinical trial enrolled patients from May 1999 to December 2004 at 115 sites (both academic and community medical centers). The last date of follow-up was September 29, 2015, in the ACOSOG Z0011 (Alliance) trial. Eligible patients were women with clinical T1 or T2 invasive breast cancer, no palpable axillary adenopathy, and 1 or 2 sentinel lymph nodes containing metastases. Interventions All patients had planned lumpectomy, planned tangential whole-breast irradiation, and adjuvant systemic therapy. Third-field radiation was prohibited. Main Outcomes and Measures The primary outcome was overall survival with a noninferiority hazard ratio (HR) margin of 1.3. The secondary outcome was disease-free survival. Results Among 891 women who were randomized (median age, 55 years), 856 (96%) completed the trial (446 in the SLND alone group and 445 in the ALND group). At a median follow-up of 9.3 years (interquartile range, 6.93-10.34 years), the 10-year overall survival was 86.3% in the SLND alone group and 83.6% in the ALND group (HR, 0.85 [1-sided 95% CI, 0-1.16]; noninferiority P = .02). The 10-year disease-free survival was 80.2% in the SLND alone group and 78.2% in the ALND group (HR, 0.85 [95% CI, 0.62-1.17]; P = .32). Between year 5 and year 10, 1 regional recurrence was seen in the SLND alone group vs none in the ALND group. Ten-year regional recurrence did not differ significantly between the 2 groups. Conclusions and Relevance Among women with T1 or T2 invasive primary breast cancer, no palpable axillary adenopathy, and 1 or 2 sentinel lymph nodes containing metastases, 10-year overall survival for patients treated with sentinel lymph node dissection alone was noninferior to overall survival for those treated with axillary lymph node dissection. These findings do not support routine use of axillary lymph node dissection in this patient population based on 10-year outcomes. Reageer op "Alleen schildwachtklier verwijderen bij borstkanker geeft na 10 jaar zelfde resultaten op overall overleving en kans op recidief dan volledige okselklierdissectie"